Japanese wounded prisoner is being loaded onto an ambulance jeep. 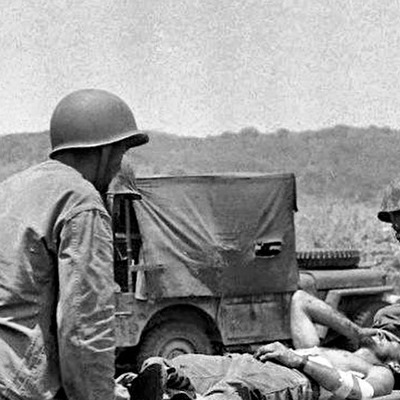 First wounded is carried to an Ambulance jeep on Okinawa, 1945. 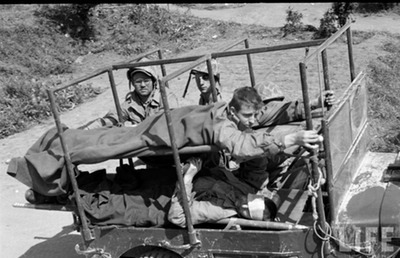 Wounded from the picture above is already in the lower tier of the Ambulance and a second wounded is carried to the jeep. 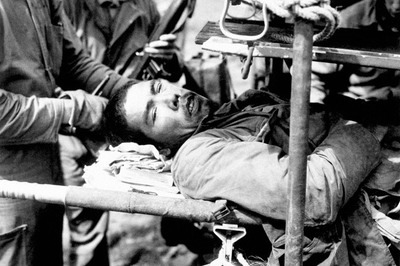 Okinawa, 1945. 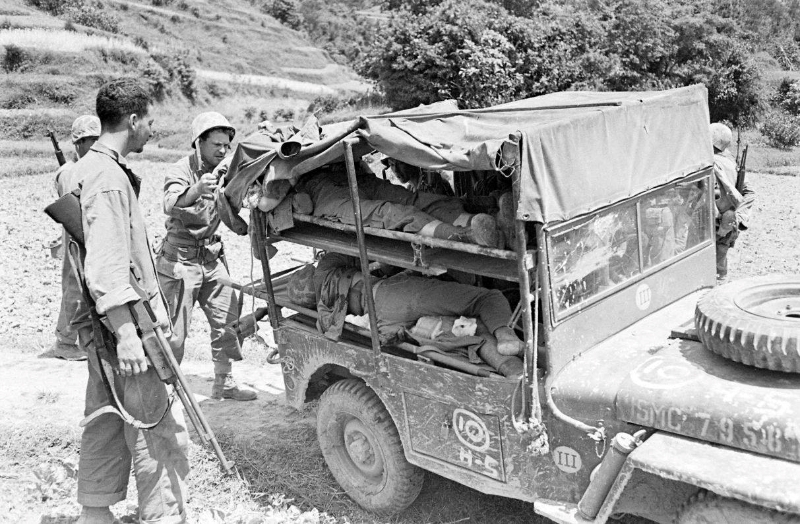 Second wounded is placed on the top tier of the ambulance jeep. 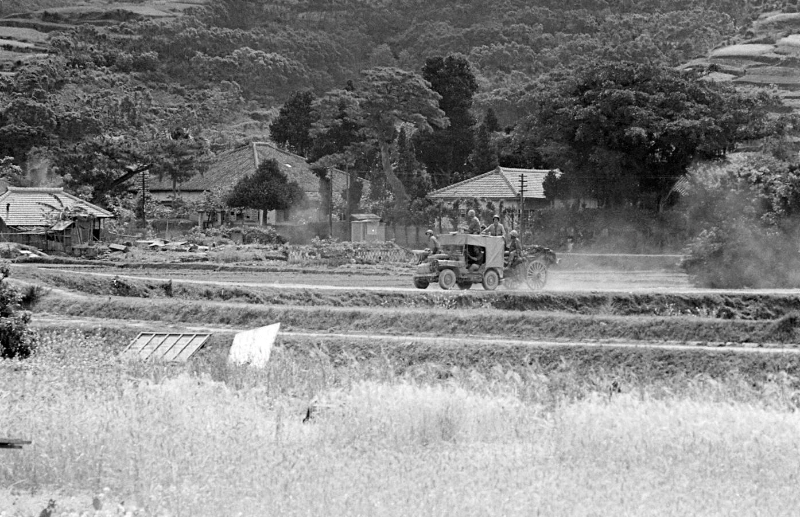 Okinawa, 1945. Note the jerry can under the tarp on the side of the jeep. 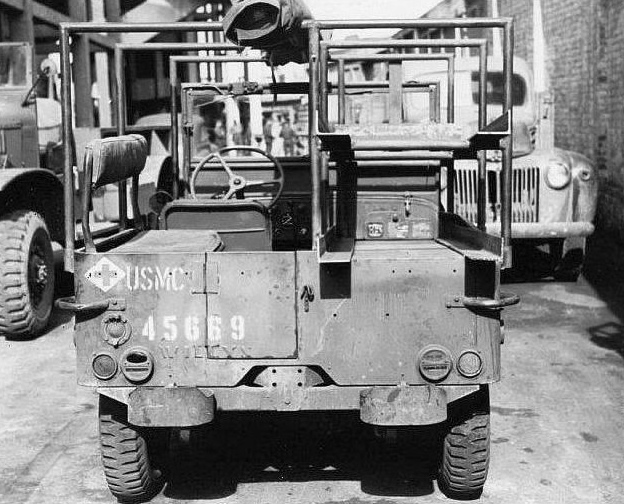 The ambulance jeep pictured above driving away. 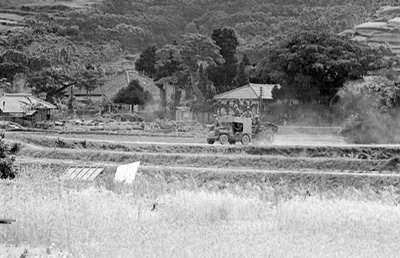 Okinanwa, 1945. 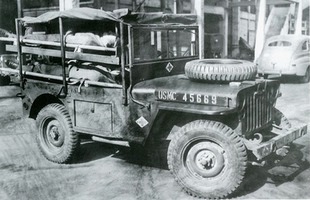 Close up of the same jeep pictured above. 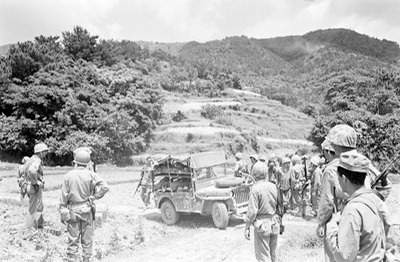 Okinawa, 1945. An ambulance jeep towing an ox cart. 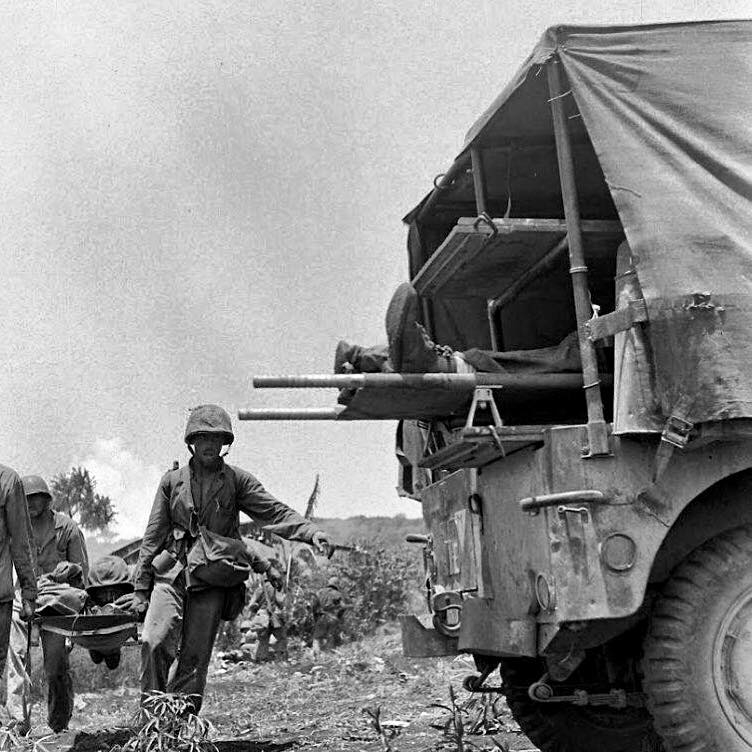 Okinawa, 1945. 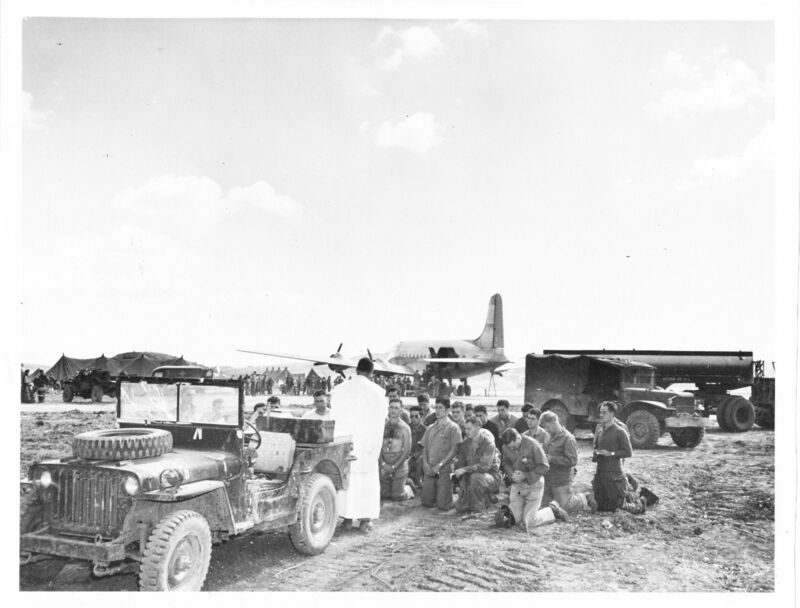 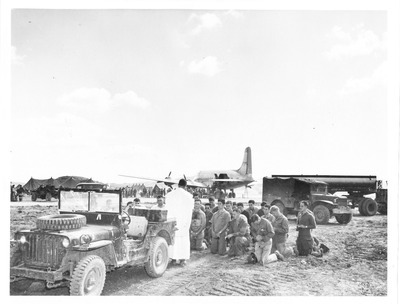 Here an USMC ambulance is used as an altar by a Chaplain on Okinawa 1945. 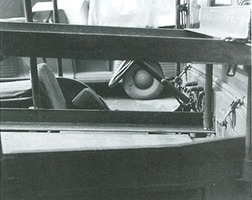 Note that the brackets for the superstructure are still in place. 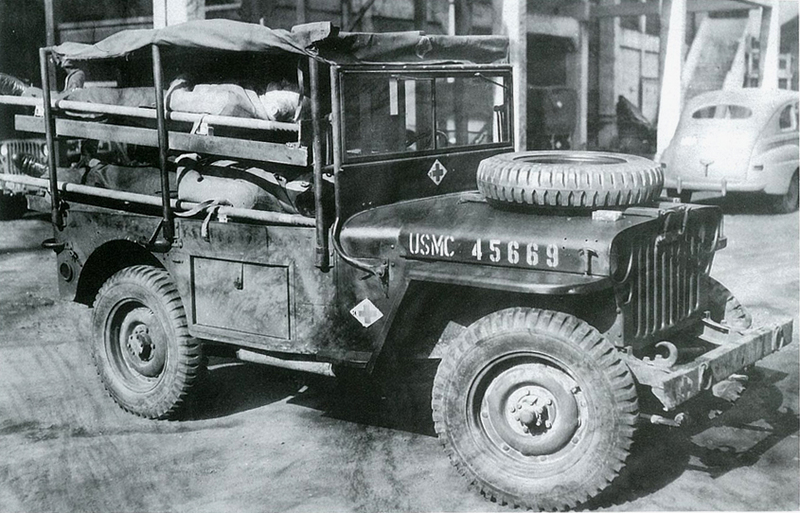 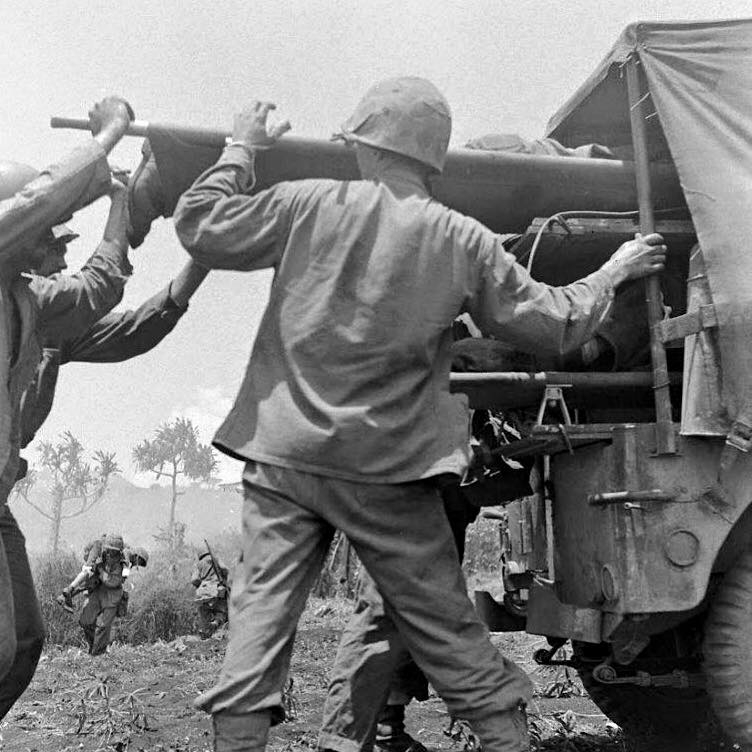 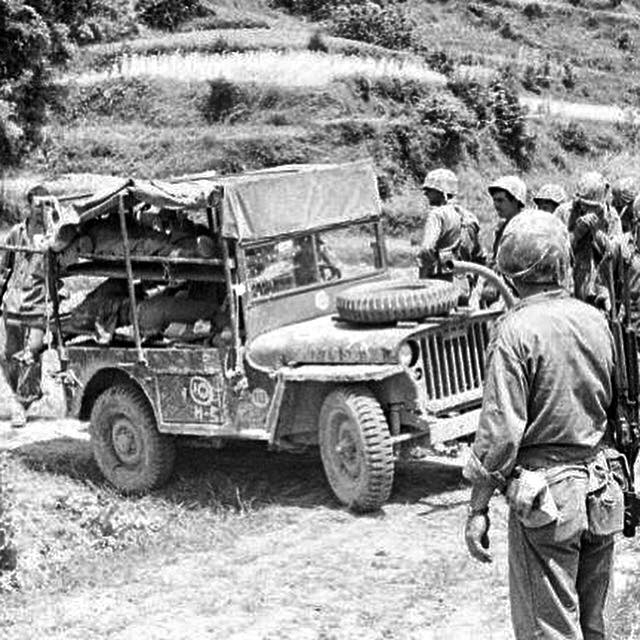 In 1943 the United States Marine Corps (USMC) decided to design a special jeep for transporting the wounded from the front lines to the rear. 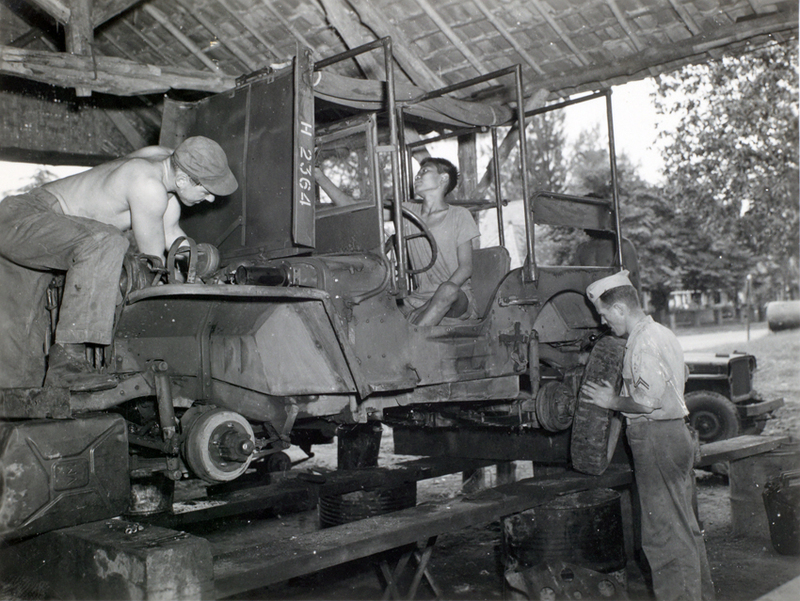 Taking a 1942 Willys jeep as a starting point several modifications were made. The biggest change is the addition of a tubular frame to accommodate two stretchers, one stacked over the other. 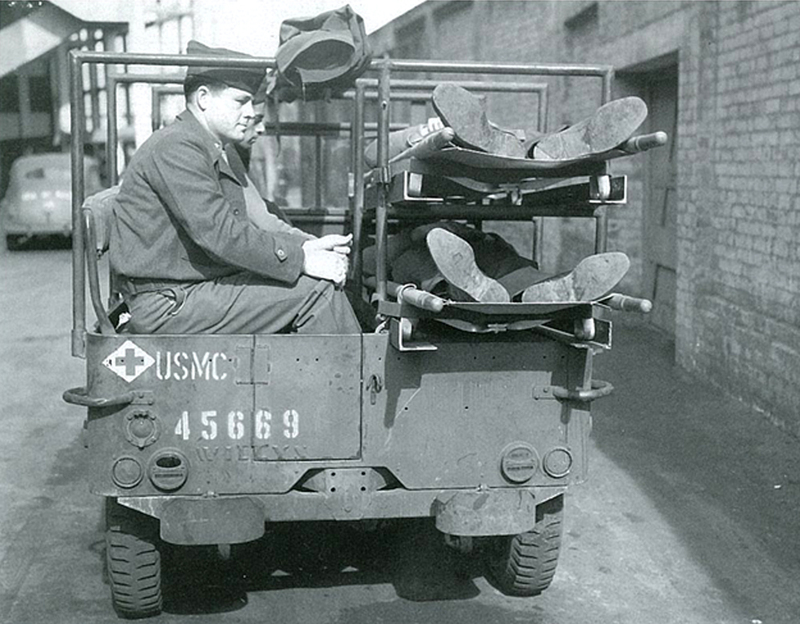 Because of the position of these stretchers on the right side of the vehicle, the passenger seat had to be removed. 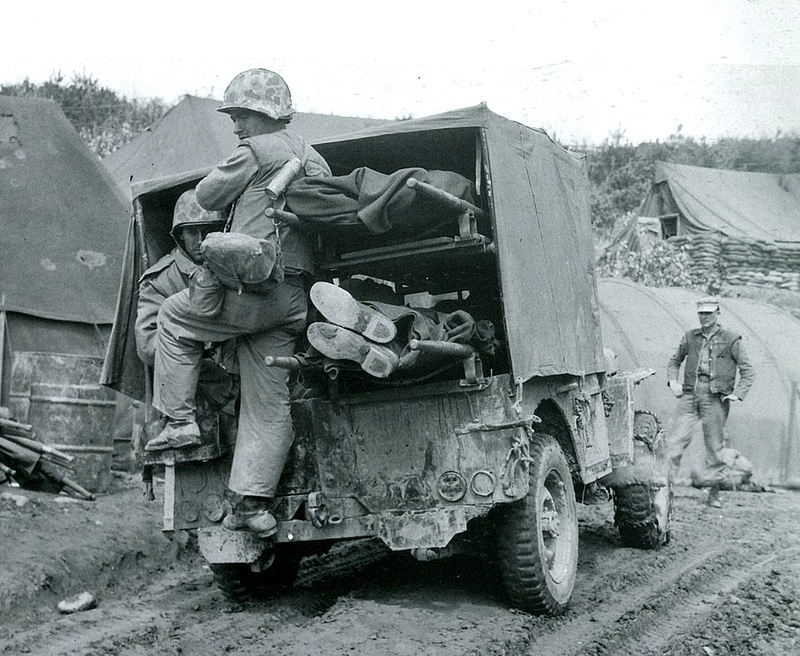 In its place came a storage box with a lid on the side, that fitted under the bottom stretcher. A little hinged door was made in the left rear of the jeep to allow easy access to walking wounded who could sit on the rear seat which was placed at 90 degrees from its original position. 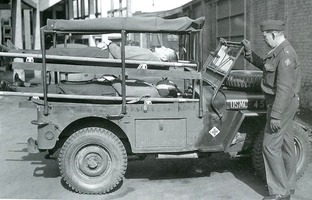 Because the tubular stretcher frame left no room for the spare tire, the spare tire bracket was moved to the hood of the ambulance jeep (amb jeep). 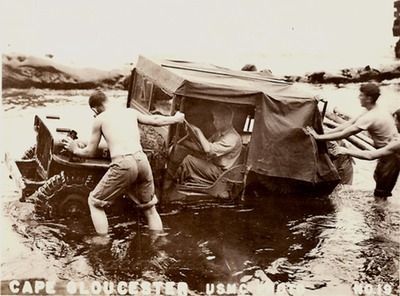 The alterations changed the look of the jeep completely. When the canvas top was mounted over the superstructure, it looked much more like a box on wheels. The first photos of the amb jeep, were made at the Holden factory (part of General Motors), in Australia, in 1943. the Holden company got the contract for rebuilding approximately 200 Navy contract Willys jeeps. The earliest photos of amb jeeps in combat that we could find, date from February 1944, and are taken on Cape Gloucester. 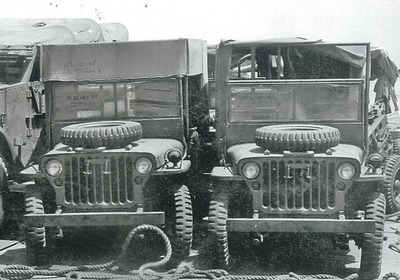 After this campaign the design of the amb jeep was evaluated and several changes were introduced. 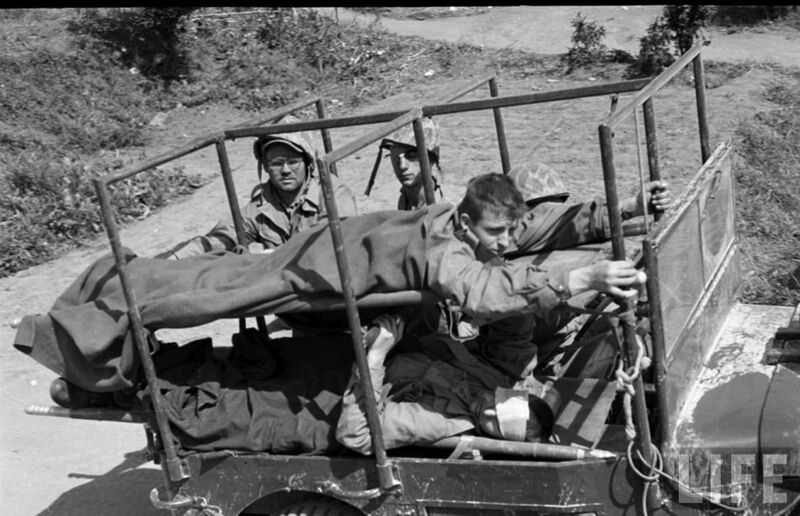 One of the most obvious ones, is the increased height of the superstructure to provide more room for the two stretchers. 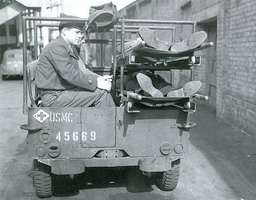 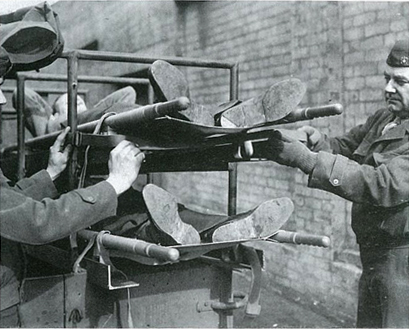 Because new divisions (like the 4th, 5th and 6th marine divisions) had to be supplied directly from the United States, a second order for approximately 500 was placed there. 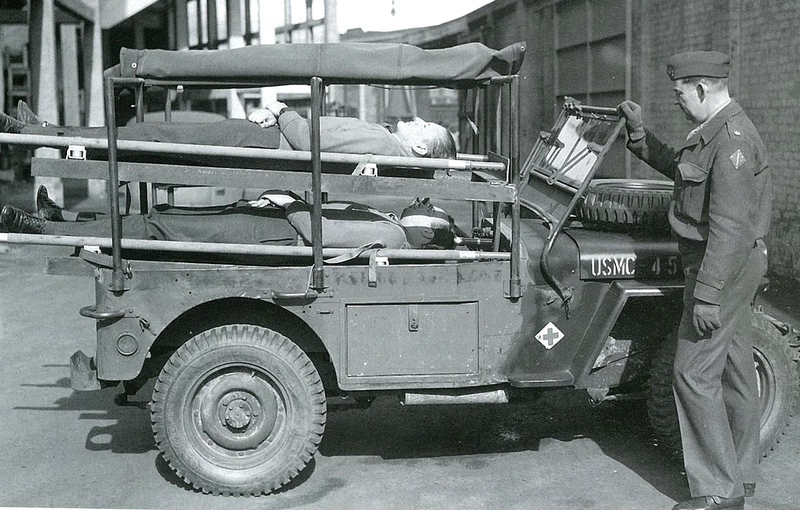 The new ambulances were produced in the San Diego area. 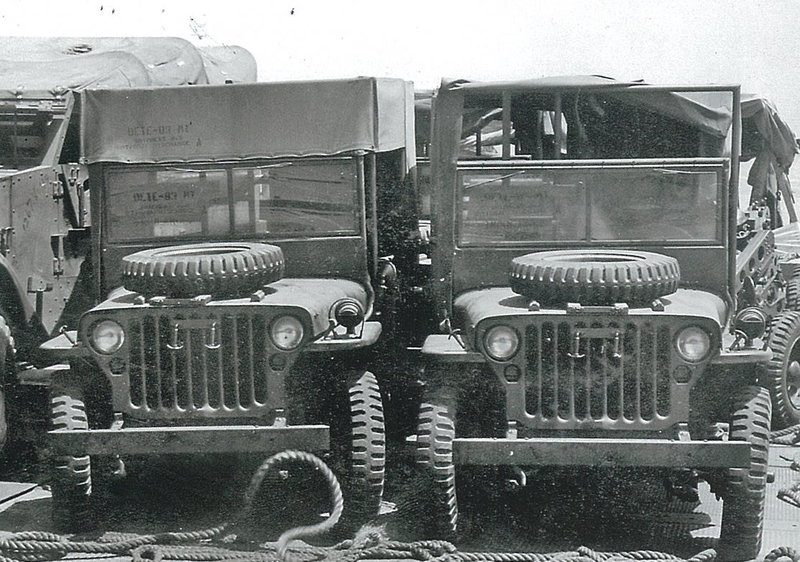 The oldest photos we could find of this second model amb jeep, were taken during the Saipan campaign(June – August 1944). 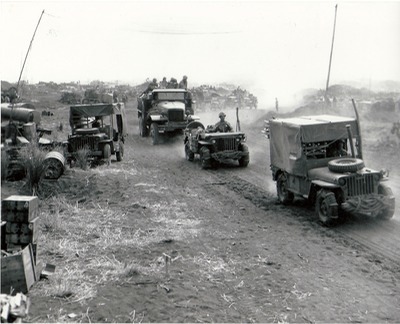 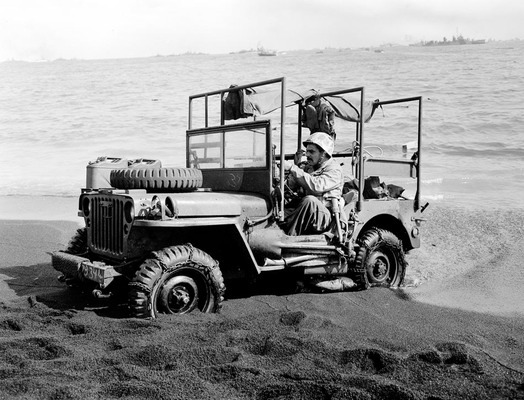 Later photos of Iwo Jima (February-March 1945) and Okinawa (August 1945) show extensive use of the amb jeeps, directly behind the frontlines. 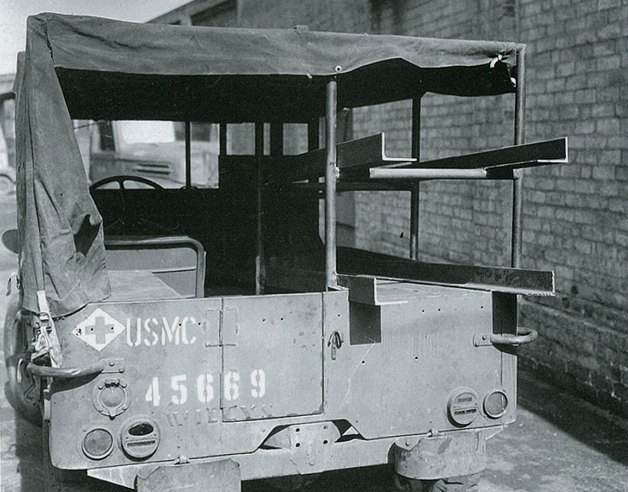 After the war the ambulance jeep was used in several theaters of operation. 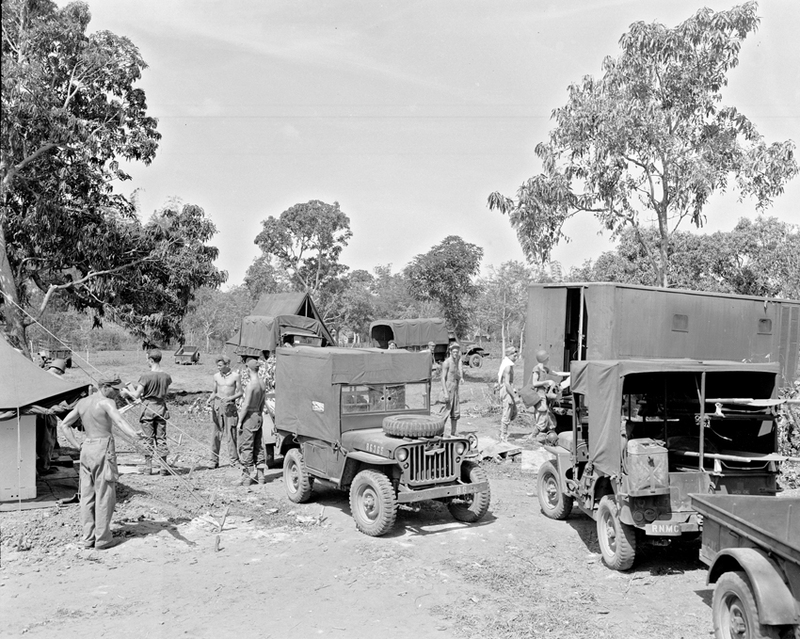 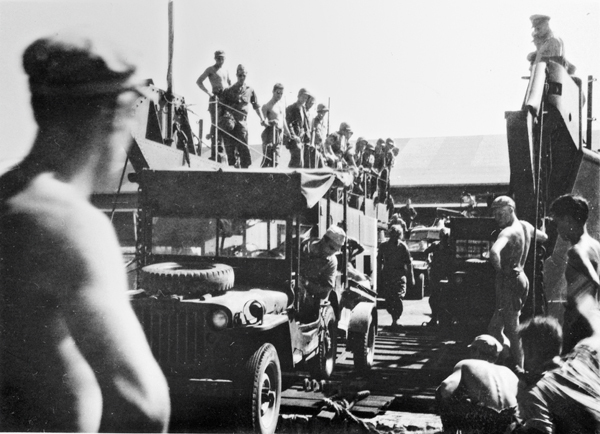 We include here some photos of 1946-47 where they were used by the Royal Netherlands Marine Corps (RNMC) on Eastern Java, Indonesia, during the police actions preceding that country's independence from the Netherlands (Insert: RNMC ambulance jeep disembarking from landing craft [collection Nederlands Instituut voor Militaire Historie].) And a few photos from LIFE magazine, taken during the war in Korea (1950-53).